Birthright is a free trip that gives young Jewish adults a chance to explore their heritage. 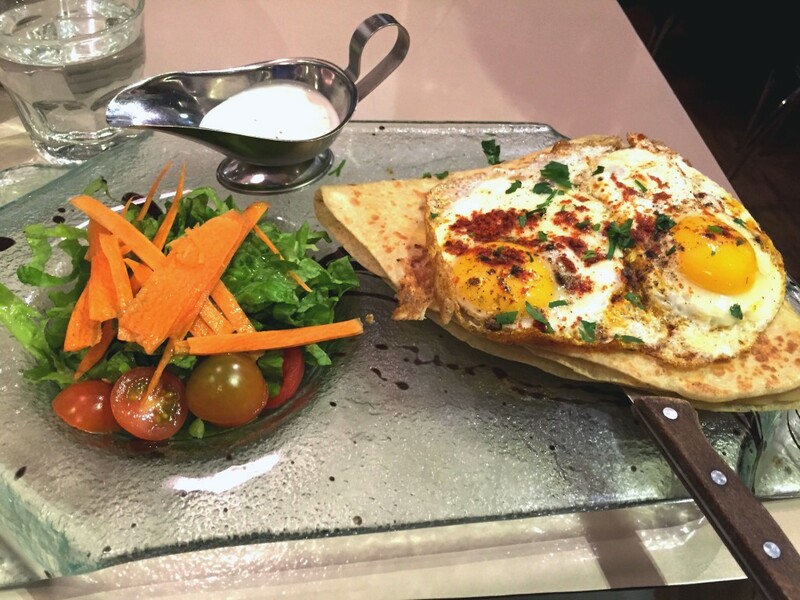 On this trip, we experienced the best food that Israel had to offer. Complete with an abundance of hummus and keeping kosher (no milk and meat in the same bite and no seafood or pork), we spent 10 days living life as a typical Israeli teenager. Falafel is made of chickpeas or fava beans and deep-fried. This staple is normally accompanied with hummus, Israeli salad, tahini and pickled vegetables. 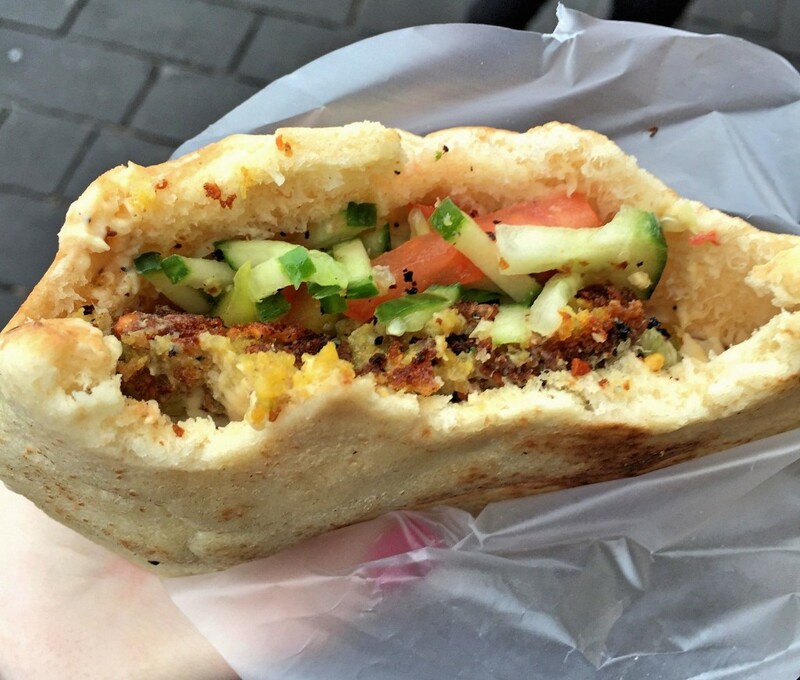 If you didn’t eat falafel from a shuk, an Israeli market, did you even go on birthright? Shakshuka is a traditional baked egg dish that offers a bright and spicy start to the day. It is a magical combination of eggs cooked in tomato-red pepper sauce spiced with cumin, paprika, and cayenne with a heaping serving of bread on the side. 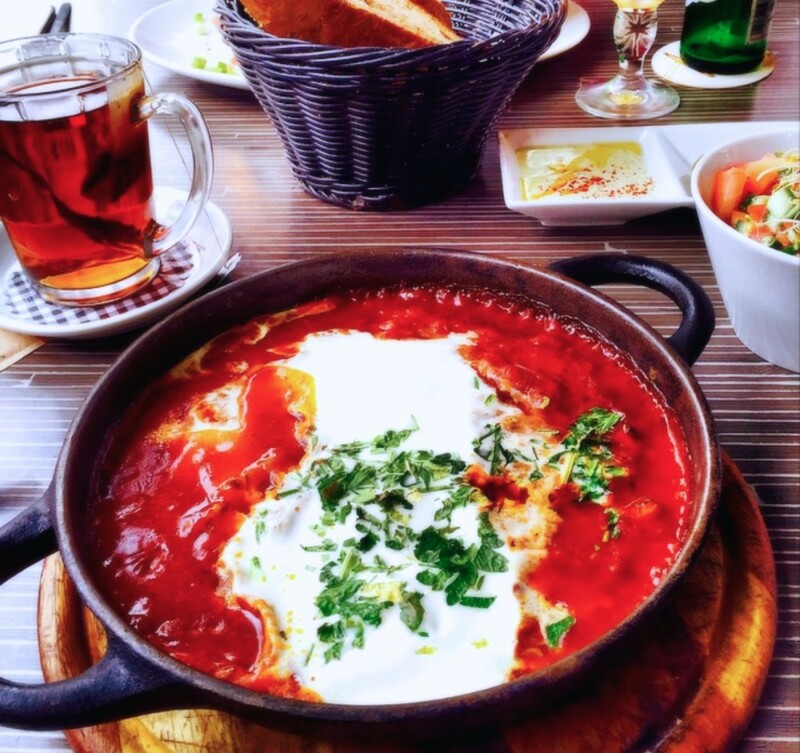 Doctor Shakshuka, a small restaurant in Jaffa, is the place to eat it at. This beautiful city is located in southern Tel Aviv on the Mediterranean. 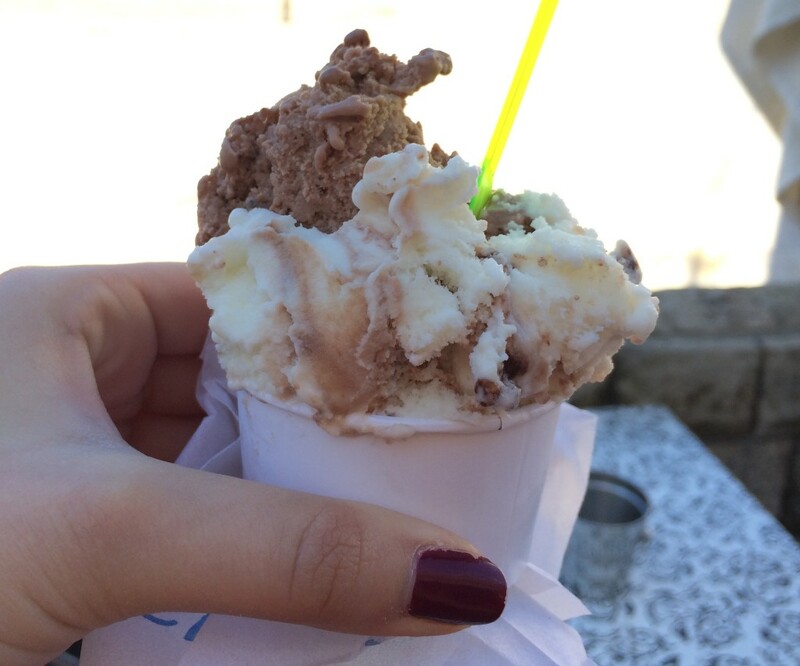 Gelato was the dessert of choice. It appeared on almost every street corner. We weren’t in Italy, but it was so deliciously rich and creamy that I thought gelato might have originated in Israel. Waffle Bar offers sweet and savory Belgian waffles topped with any topping you can imagine—eggs, chocolate, tomatoes, and numerous others. One of the most decadent waffles I had was the Oreo Waffle, which was topped with vanilla ice cream, oreos, whipped cream and chocolate syrup. 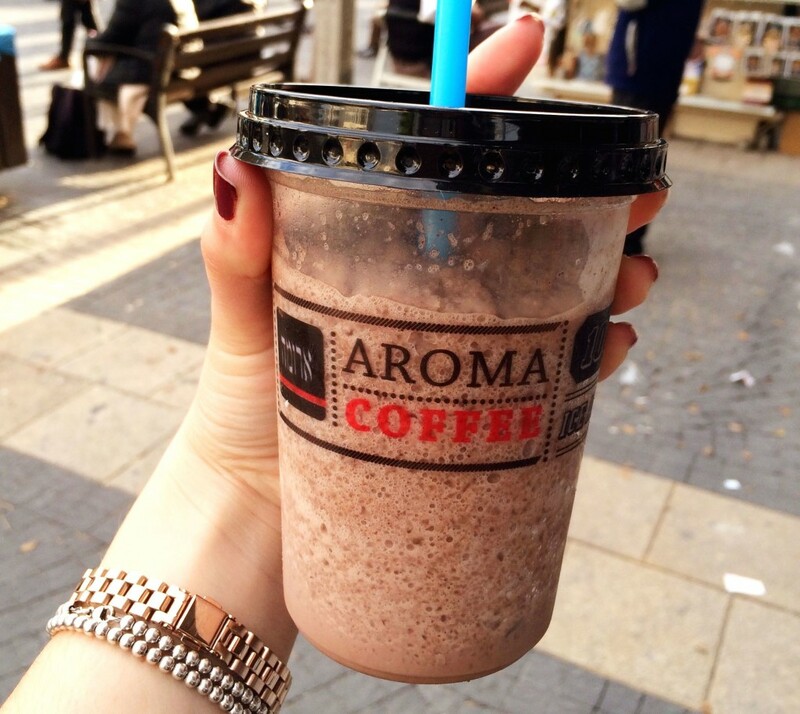 Meet Aroma—the better, Israeli version of Starbucks coffee. Their most popular drink is the iced aroma or iced hot chocolate. These drinks would definitely give Serendipity a run for its money. Almost every third stand in the shuk was a fruit stand selling pomegranates in every form. From juice to seeds to the entire fruit itself, pomegranates are the “go-to” fruit in Israel. Perhaps it’s because pomegranates symbolize the 613 mitzvot, or good deeds, one can accomplish. 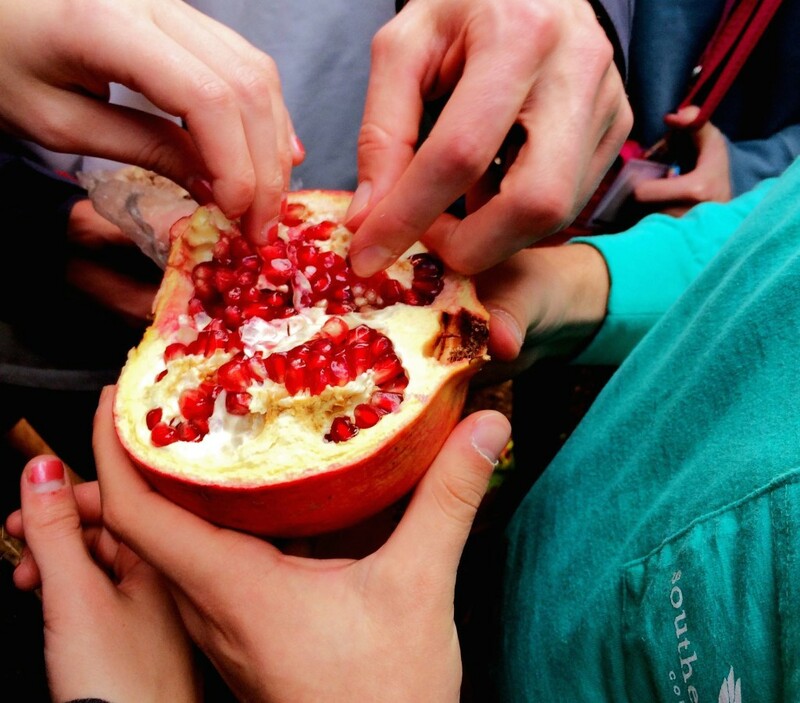 So why would anyone pick an apple when you can be doing a mitzvah by eating a pomegranate? Shawarma is a type of meat preparation that uses lamb, chicken, beef or veal and roasts it on a spit grill. The meat stays on the spit for an extended period of time so that the food remains warm. It’s almost like a rotisserie, but even better. In Israel, lamb and chicken are typically the meat of choice. 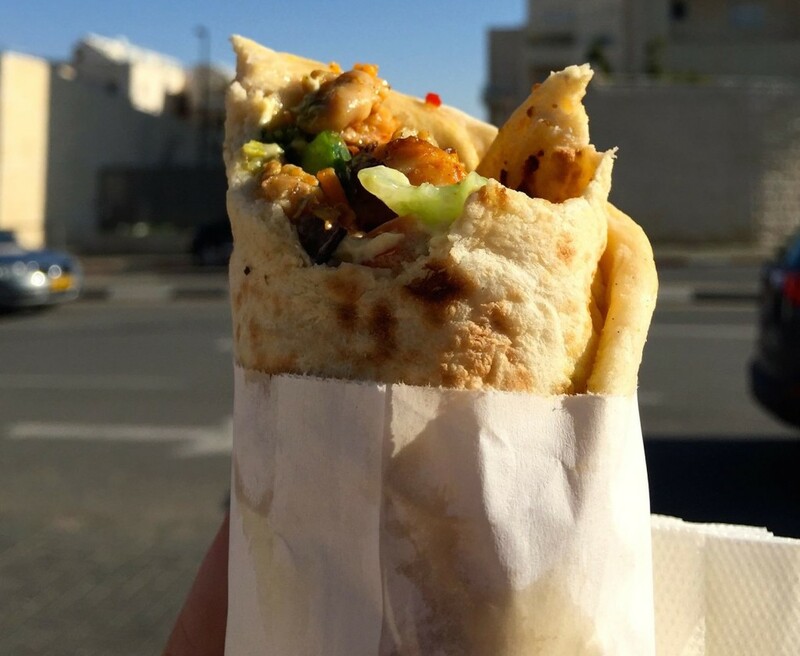 While shawarma can be eaten plainly, many prefer to eat it in a pita with hummus, tahini and other toppings of choice. Israel is not the place you expect to find the best pasta, but Pasta Basta is located in many of the markets and makes the greatest homemade pasta dishes. 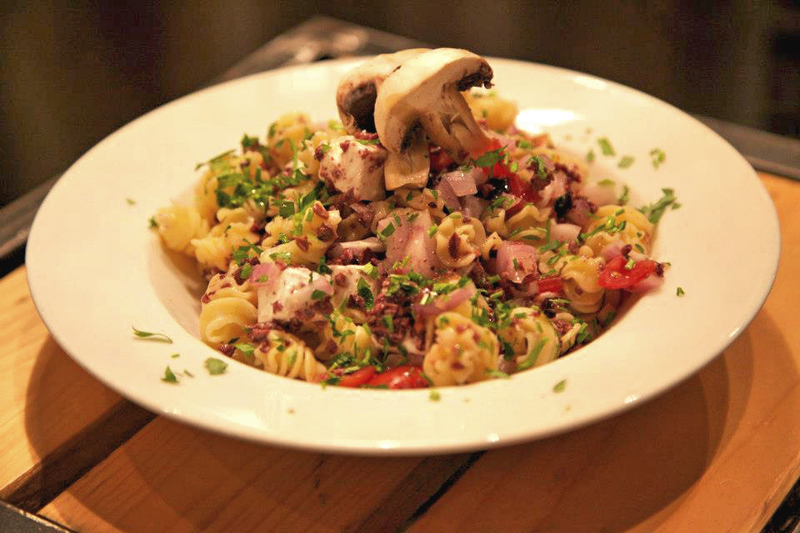 You can concoct your dream pasta dish by choosing what pasta, sauce and toppings you want. 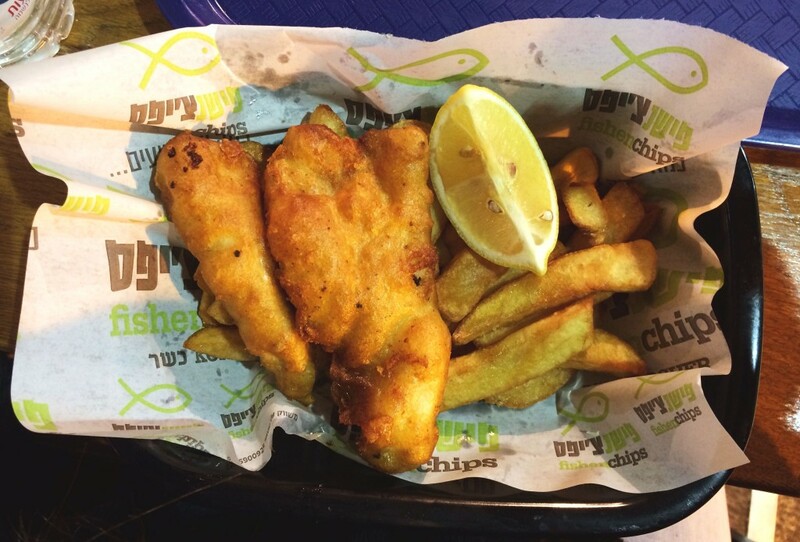 Surprisingly, our favorite food in Israel was fish and chips. We ate this incredible deep fried meal in a shuk in Jerusalem. If my group leader had not suggested it to us, we would have completely missed out. It is by far the best fish and chips we have ever eaten. (Full disclosure—we have never been to England).